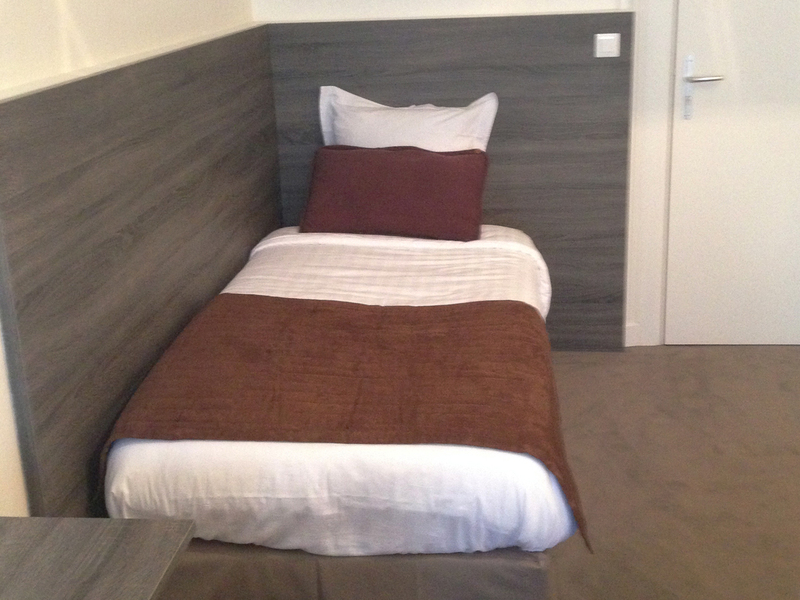 Twin room | Hôtel de la T.A. 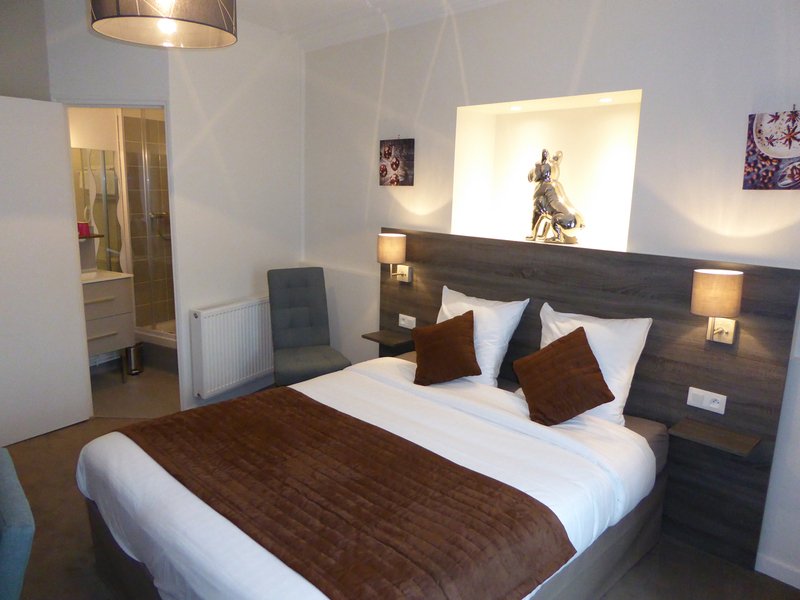 Family rooms can accommodate up to 3 people: they offer a double bed and a single bed. A flat-screen TV and a work desk are available. 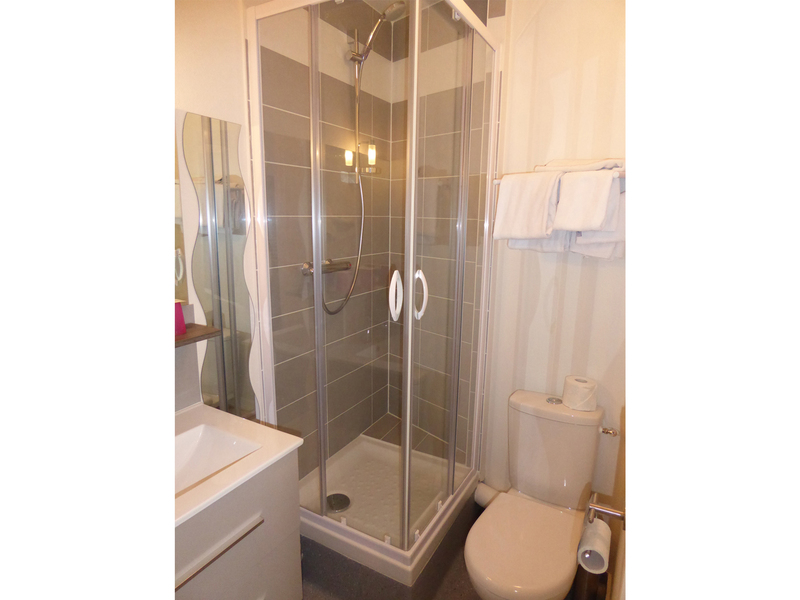 Each room has a private bathroom (towels provided) with hair dryer and toilet. Some family rooms have a balcony. Fresh fruit juice, hot drinks (coffee, tea, chocolate), pastries, fresh bread, brioche, yoghurt, compotes, fruit and cereal.